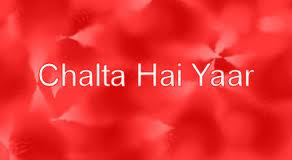 The "sab chalta hai" attitude of Indians is quite famous and many even take pride in having this state of mind. Have we become a society which is used to accepting a mediocre quality of life? Are we so immune to this attitude of our fellow countrymen that we don't stop to think twice whether it is right or wrong? Everyday we face these situations, where "thoda adjust kar lo" has become a slogan of sorts. I believe that unless we live in a different country/place where things are much better managed, we can never know the difference. I have noticed these very annoying habits amongst people and they remain the same wherever you go in India. 1) What Queue? : People have no patience to wait in a queue for their turn. I have seen it happening at a number of places. People will push and shove you to be first at the movie ticket window or they will completely bypass the entire line and form a second line in front of that window. They completely flout norms of decency. These people irk me a lot, they make people who stand patiently for their turn look like fools. I wonder what happens to people while disembarking an air plane. I feel too much oxygen and cabin pressure affects their brains. There is such a rush to get down from the plane as if it is on fire and one needs to escape immediately. Even before the plane has completely halted and the seat belt signs have been switched off, passengers have this mad rush to pull down their luggage from overhead cabins. Have you tried shopping for groceries at a supermarket on a Sunday? It is like visiting kumbh ka mela where, if you don't hang on to your dear trolley, you don't know if you will ever be able to come out in one piece. You have to fiercely guard your place in the queue, as there are many people who can sneak in when you are not concentrating. 2) Mere baap ka raasta hai (My father owns this road) : Driving on Indian roads is literally going on a war path. You never know when an enemy in his car will run you over. Rash driving is the name of the game. Half the morons on the road have no driving sense and are clueless about lane driving. I also blame the RTO for giving a licence to all and sundry. Many have separation anxiety with their horns and need to comfort themselves by constantly honking it for no reason. I fail to understand the point of blowing the horn, when the driver can see that the other vehicles in front of him can't go any faster or give him way. At such times I feel like beating up the driver or doing something equally violent (see what I meant by going to war). With an endless mass of humanity on the Indian roads, a few bumps and scratches to our vehicle are to be expected. But, there are times when people will damage your car badly because of their driving and will not bother to even acknowledge or pay for it. Driving on the wrong side of the road is a matter of pride. Waiting in your vehicle at the Zebra crossing with bated breath and zooming off even before the signal turns green, is another adventure sport. Some people believe that following traffic rules is for suckers and since "Mere baap ka rasta hai" those rules don't apply to me. 3) Not my property, so why should I bother : Recently I saw someone, who without any qualms plucked a plant from someone's well tended garden, without taking their permission. When I asked that person why she did it, she said it's just a plant. I asked wouldn't she have been embarrassed if the owner had walked in on her. She said big deal, I would anyway get the plant, right? My jaw dropped when I heard her careless answer. The end justifies the means for such people. Same is the case with our roads, historic monuments and government buildings. People defile, urinate and spit wherever it is convenient for them. I can never forget my trip to the Ajanta and Ellora caves, where some of the caves containing centuries old murals and carvings were turned into toilets. As long as my house is neat and tidy, I will not bother about anything or anyone, such is the attitude of our brethren. These bad habits have become so deep rooted in our genetic make-up that it will only take a miracle to break the pattern. Our culture of which we are so proud does not teach us these things. Then, why this "Sab chalta hai" attitude about everything? Isn't it time we stop this, nahi to aise hi sab chalega. It's really distressing...especially when you see that the same people display model behavior when they are abroad! Why can we not do the same in our own country?! most of us have experienced such situations and it's really annoying to say the least. unfortunately, the ones who indulge in such behavior don't read or write (unless it's absolutely necessary), so they actually don't get to know where they stand as human beings. moreover, this mentality is quite contagious and is passed on from one individual to another unless the other person disapproves it (which doesn't happen too often). Very very annoying! Sometimes it makes sense in pulling up the offender but then they can be pretty rude too. I feel that many educated people do these things and it is not only the uneducated. It is all up to the upbringing of a person and their own attitude. Roshni I believe that most people behave decently because they know that they will stand out from the crowd when they are abroad and so feel ashamed to do these things. In India, the multitudes do the same thing so such people don't find it shameful. those who had formal education, and read and write only when required cannot be considered educated. that's what i meant by uneducated people. Debajyoti thanks for clarifying :) I understood and I agree with you. Sahi mein..YE SAB KAISE CHALEGA! SAB NAHI CHALEGA! It can be annoying indeed! But miracles can happen...starting with every individual, community, school, organisation...if change starts from the grassroots level, I'm sure things will begin to look up....But of course, the big question remains..."IF"! I feel that people don't want to take that extra effort in order to improve and bring about a change. Agree and feel very annoyed and irritated with all the pointers you have mentioned. While one must raise voice against these nuisance which are a routine feature in and around us, but the culprits can be really nasty and rude too. It is like ulta chor kotwal ko daante! Caption Contest 25 "You think you are funny?" Caption Contest 24 "You think you are funny?"